Jan Barlow has reinvented her Clio laundry and dry cleaning business several times over since she opened in the midst of a recession in February 1982. Barlow started with just a small coin laundry, added dry cleaning about six months later and followed shortly with an addition. The former teacher has been ahead of industry changes, is open long hours, seven days a week, and has embraced and adopted the newest business and industry technology. Her company recently was among the first in the United States to test and begin using a new modified-alcohol and environmentally friendly cleaning solvent made by German-based SAFECHEM. 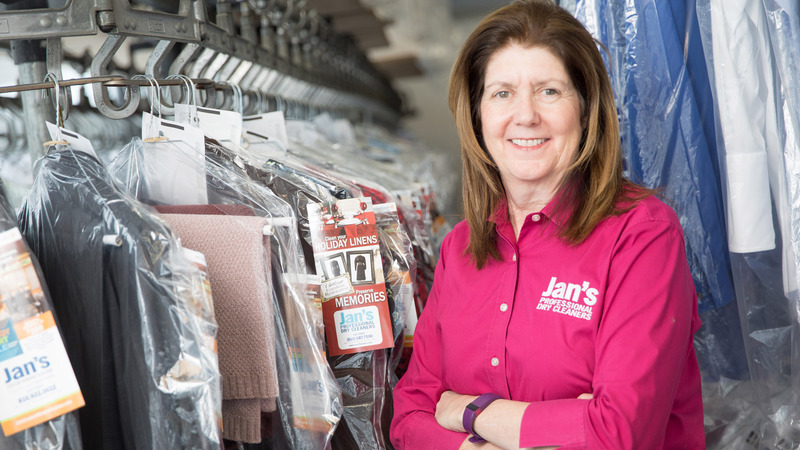 It’s all helped Jan’s Professional Dry Cleaners Inc. grow, stay relevant and to celebrate its 36th year. “Because I’ve been in business so long, I constantly have to keep recreating myself,” said Barlow, the company’s president. After just two years in business, Barlow added dry cleaning pickup and delivery service. She started servicing blinds in the late 1990s and just five years ago began selling draperies and blinds through a new venture, Jan’s Custom Window Fashions. Barlow said over time many people have stopped wearing fancy clothes and don’t dress up for church or work like they used to. Some of Barlow’s first work came from area antique collectors. That restoration work boosted her reputation for cleaning just about anything, she says. Jan’s has cleaned vintage garments, such as military uniforms and christening gowns, to dolls and quilts. It even has a celebrity client: Danielle Colby from “American Pickers” on the History Channel. Barlow’s company has restored and cleaned some burlesque outfits and items for Colby. 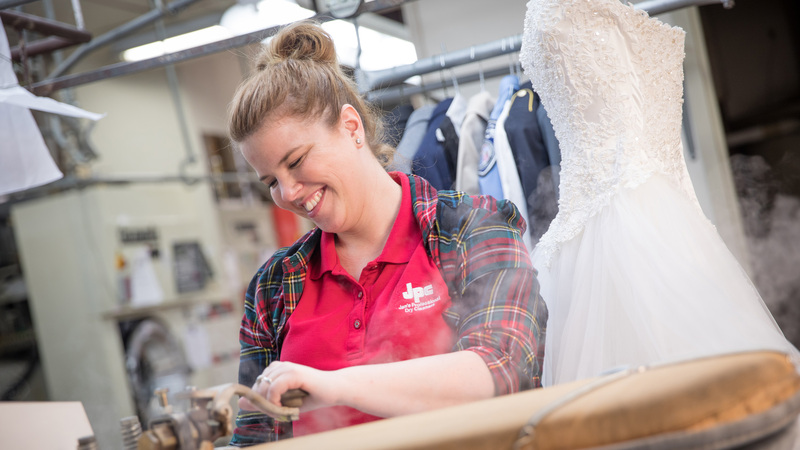 Today, about 30 percent of Barlow’s business is storefront dry cleaning, 30 percent is pickup and delivery, 30 percent is fire, smoke, water and flood restoration and draperies work, while 10 percent is laundry/tailoring and wedding dresses. Barlow, who grew up in Flint, now has a half-dozen trucks on the road in Genesee and Saginaw counties and her drapery and blinds cleaning business extends service even further. “The success of my business is that I’ve been able to find really great staff to work with me and have the skillset that we need so that if something comes in, we’re able to take care of all of the pieces of the puzzle,” Barlow said. Barlow has been active in the dry cleaning industry. She is past president of the Michigan Institute of Laundering and Drycleaning, served as National Fire Protection Association committee chairperson and is past president of the Drycleaning and Laundry Institute International. Barlow says her staff of 20 to 25 people, growth and customers keep her from retirement planning. “When it quits being fun, I probably won’t do it anymore,” she said.